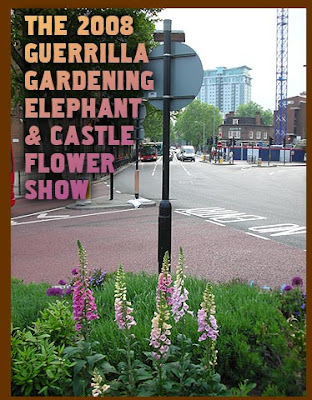 Guerrilla gardening is one way of making cities more beautiful, though whether it will cheer up Elephant and Castle is another question. Still it's a great idea, there is a Guerrilla Gardening blog, a book and anyone who plants foxglove anywhere is doing something good. Some tips from the Guerrilla gardening blog. 1. Spot some local orphaned land. You will be amazed how many little grubby patches of unloved public space there are. Neglected flower beds, concrete planters sprouting litter and untamed plants, bare plots of mud. Chose one close to home, perhaps you pass it on the way to the shops or work, and appoint yourself it's parent. This will make it much easier to look after in the long term and reduce the risk of straying into a dangerous neighbourhood. Make a date in the diary for an evening attack, when trouble-making busy bodies are out of sight. Invite supportive friends, or perhaps enrole supportive strangers by announcing your attack in the Guerrilla Gardening Community here. 3. Find a local supply of plants. The cheaper the better. For city dwellers think local DIY stores, supermarkets and whole salers. The cheapest plants are ones that are free. Sometimes garden centres will have spare plants to give you for the cause. Or befriend someone with a garden (you might even be lucky and have a garden yourself). Think of these private spaces as the training camps for harvesting seeds, cuttings and plants hardened for their big adventure in the wilds of public space. If you have things going spare please leave a message in the Community forum for guerrillas near to where you live. 4. Choose plants for front line battle. Think hardy - resistant to water shortages and the cold, and in some locations pedestrian trampling! These plants need to look after themselves a lot of the time. Think impactful - colour, ever green foliage, scale. These plants need to really make a difference, for as much of the year as possible. Visit the Community to get advice about specific plants for your part of the world, and to share your horticultural advice with the less experienced. In London I use a lot of herbs like Lavender and Thyme, tulip bulbs, shrubs. 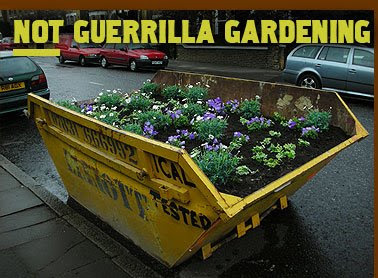 It has been great seeing all of this coverage of guerrilla gardening in blogs. I've seen it mentioned everywhere in the past week. The tips are good ones. Erik Knutzen, who co-maintains Homegrown Evolution, offers some good commentary in his blog. 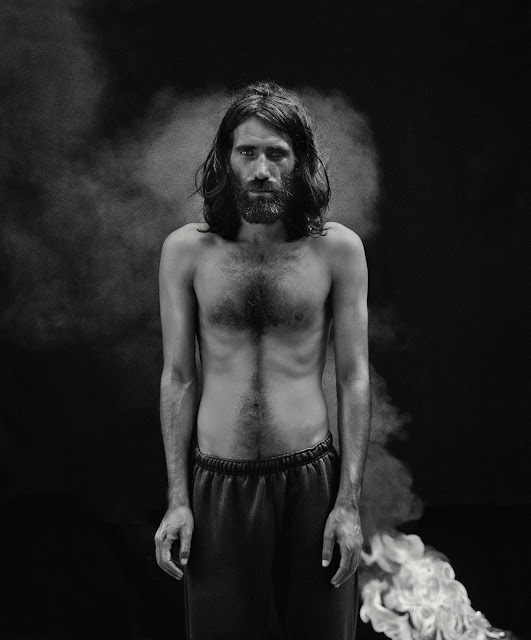 We were happy to interview him for a podcast the other day. Thanks for the link, Alex.